What are you gifting For Her, For Him, this year? Those cuff links are perfect for a "him!" I still haven't seen eat pray love! I'll take that cashmere hoody though. I want to see Inception SO bad! Maybe I'll get it for hubby so I can see it, hehe. You're buying me that $300 sweatshirt, right? I knew it! What a cute gift list! I want a bottle of that champers yes please! 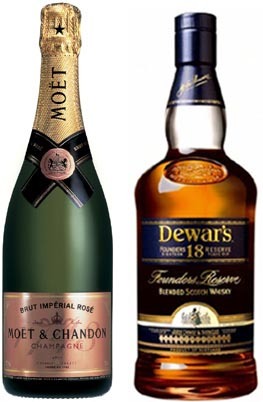 Moet Rose is my very fave sort of bubbly! I love this! Such great ideas! Great ideas! I got my hubby Mad Men Season 3 among other things. So many great ideas! 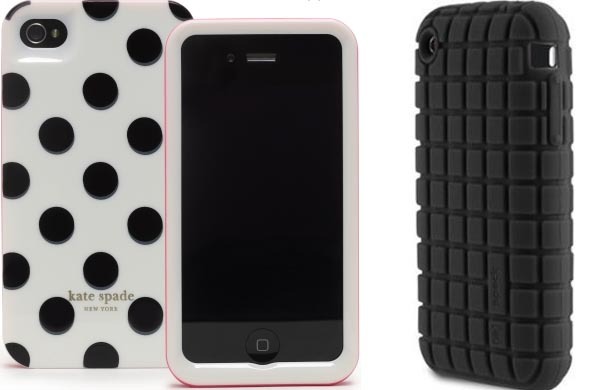 I LOVE the polka dot iphone cover and my husband actually has that black iphone cover! The remote control with the bottle opener is hilarious. The clutch and cufflinks are so perfect for my husband and I! Great list dear! Oh, I loved this post! So cute. Is it bad that I want most of the "him' stuff?! I actually really enjoyed "Eat, Pray, Love" and who would not be happy about a cashmere hoody? oh this is so cute!! I know Matthew really wants Inception! I love the cuff links and I have yet to watch Eat, Pray, Love but I know I will love it!! Great ideas.. I just bought Inception DVD.. very freaky but extremely interesting. I have given a hoodie jacket many times to my brothers on Christmas! Bravo Jamie! this is a great post. really cute ideas, loving the hoodies! 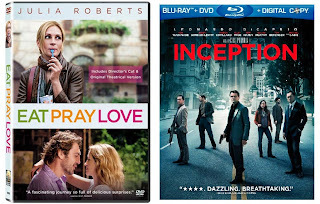 My only thing would be that Inception is also for her... hello Leo!?!? 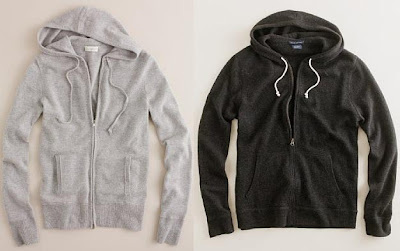 :) Cute ideas though, I may actually look into those hoodies. Perfect!! The matching cozy cashmere hoodies are amazing! That's a great gift guide! I gave a pair of cufflinks last year (to my now ex-boyfriend) and it was one of the best/most perfect gifts I have ever given. Love love! I LOVE that Kate Spade case, so cute! And Inception is definitely on my list.